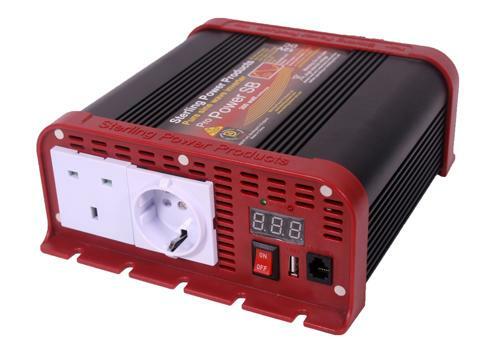 Specialist Automotive Products are experts in the installation of Sterling Power Inverters. An inverter from Sterling Power allows motorhome and caravan users to convert the necessary power from one voltage to another. This avoids overloading electronic devices that are plugged into the vehicle's power outlets, providing enough power for a microwave oven, while not overloading a charging mobile phone or laptop. 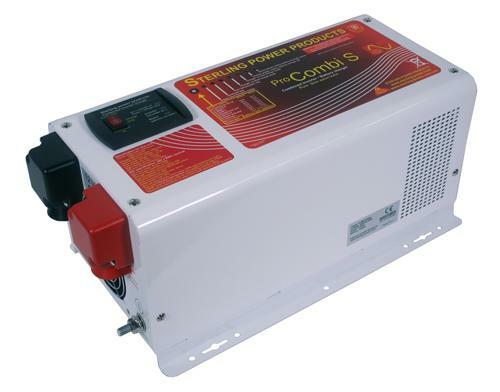 The Pro Combi S+ is one of Sterling's newest inverter chargers. Lighter and smaller than its predecessor, with a new splash-proof design, the Pro Combi S+ allows you to charge the starter battery while bulk charging your main battery bank through its auxiliary charging module. Other features include; eight battery type selectors, all with their own four-stage charging profiles; a power save function; battery charge only feature; and a 30A automatic crossover switch, allowing the caravan or motorhome to run directly from the mains power while charging the power unit. The Pro Combi S2 was released in 2017 as part of the Sterling Combi Inverter Charger range. It includes all of the features of the Pro Combi S+, as well as three power saving options which allow the user to pick which option best suits their needs. An additional feature introduced to the Pro Combi S2 is an AC Power Timer. The AC Power Timer allows the user to set 30 minute intervals where the unit is turned off, preventing any current from being consumed. 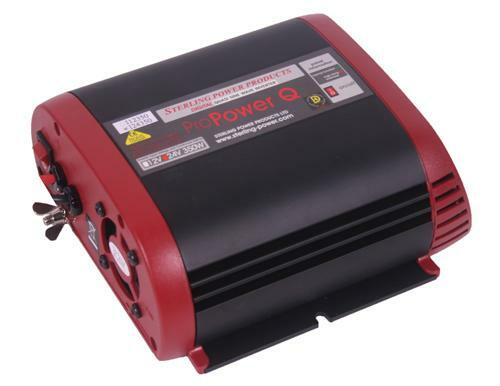 Pro Power Q is Sterling’s range of quasi sine wave inverters, with a range of power outputs available from 100W through to 5000W at both 12V and 24V. Quasi sine waver inverters work perfectly with most electronic devices except devices such as washing machines and bread makers that are thyristor controlled. This unit inverts the pure sine wave from the mains outlet into a series of steps that approximate a smooth wave, providing a cost effective solution. 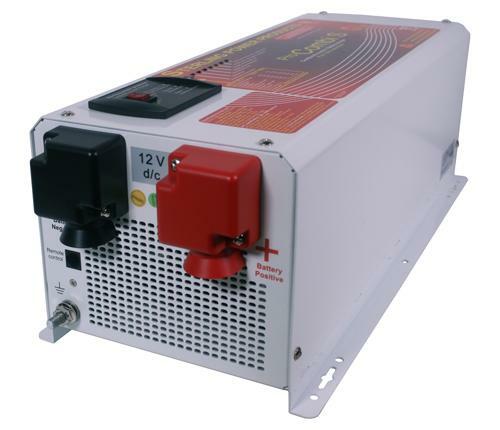 Quasi Sine Wave Inverters are technical and we would advise that you contact us via the button below, to ensure correct installation and usage of this product. Sterling’s Pro Power SB (R) replicates true shore power, and is suitable for all electronic appliances. This range of inverters is available in 12V and 24V from 200W to 5000W, providing a range of options to suit the requirements of your caravan or motorhome. For more information, and to ensure correct product usage, contact us using the More Info button below, or call us on 0333 600 6070.